Below are the Phenom 300 Specifications from Embraer and the FAA Type Certificate for the EMB-505. Part 23 commuter, Single Pilot Certified, VFR day/night, IFR, known icing conditions, FAA/EASA/ANAC Certified. Reduced Vertical Separation Minima/Minimum - RVSM Compliant. 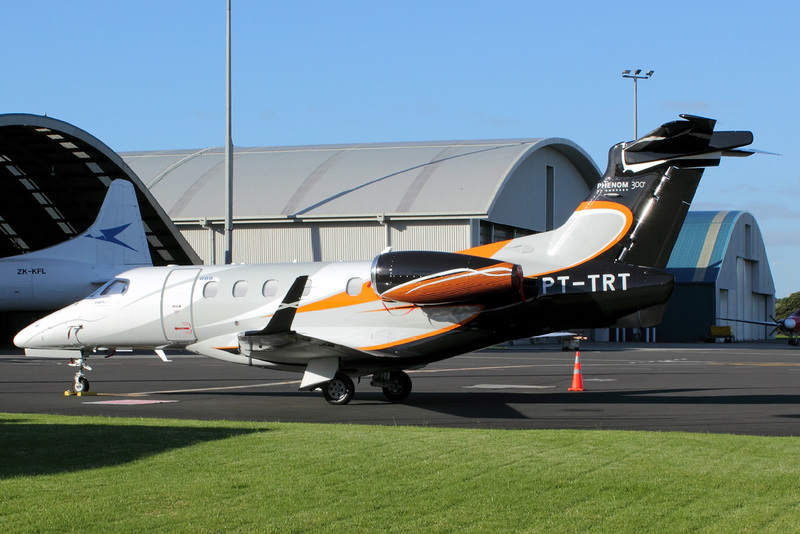 Learn more about the Embraer Phenom 300 Range on our Phenom 300 Range Page. Above Embraer Phenom 300 Specificatons Photo by Noel Jones on Flickr. Photo (only) released under a Creative Commons License. VMC (minimum control speed): (takeoff) 97 KIAS Note – The values presented above refer to the maximum VMC for the aircraft envelope (the values can change according to the temperature and altitude). Embraer Phenom 300 Service Ceiling: 45,000 feet (ft) or 13,716 meters (m). Avionics: Prodigy Flight Deck 300 by Garmin. Upgraded to the Garmin G3000 avionics suite in May 2013. Fuel Type: Fuel Jet A, Jet A-1, JP-8 and similar fuels. Similar fuels must meet DEF STAN 91-91 and/or ASTM Standard Specification D1655 (last issues). Oil Capacity: 8.6 Quarts (US) or 8.14 liters. Main Baggage Compartment Volume: 66 ft3 / 1.87 m3 (Aft Baggage Compartment). E55P Specifications - This is the ICAO Code for the Phenom 300 light jet. Embraer 300 Specifications - A simple naming variation that some may refer to the jet as. (not an official name for the aircraft). EMB-505 Specifications - The official model name for the airplane.